Bob Custard makes a strong point for us to advocate for what we do. "It is long past time for all of us as environmental health professionals to stand up and speak up. Environmental health is a contact sport." 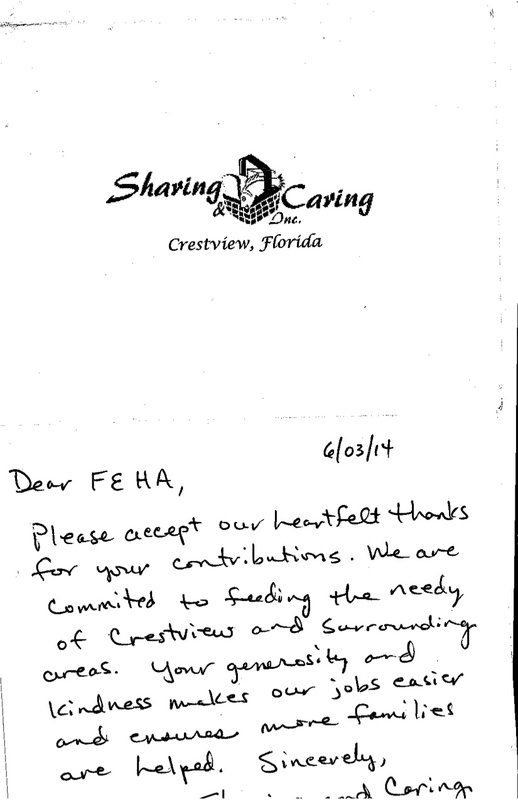 Check out this great thank you from Sharing and Caring sent to the Emerald Coast District. At their last OSTDS training, they collected canned goods and donated them to Sharing and Caring of Crestview. A special thanks to all who donated canned goods for such a great cause. What a great community effort! Thanks for the wonderful leadership Emerald Coast! If you have Environmental Health news to share, please send it to us via the Journal email address.